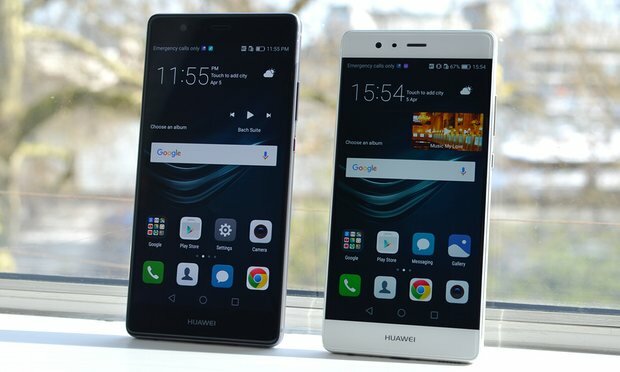 China-based electronic giant Huawei, in partnership with German company Leica, has officially unveiled its newest pair of smartphone variants, the P9 and P9 Plus in an event that took place in London on Wednesday, April 6th. These two new Android-powered smartphones are equipped with a Leica-provided dual-camera lens system -- a type of technology that is designed to capture sharper images for both black and white photography. The P9 Plus variant is a 5.5-inch AMOLED device with screen resolution of 1920 by 1080. It's powered by a Kirin 955 CPU, with a battery capacity at 3,400mAh good enough for most heavy usage. This variant comes with a 64GB of internal storage complemented with a 4GB RAM. This very thin device (6.98mm) comes with stereo speakers. Compared to the P9 plus, the Huawei P9 version comes smaller, with a 5.2 inch IPS LCD display and can render up to a 1920 by 1080 pixel resolution. Its hardware sports a 64-bit Kirin 955 octa-core processor with a 3GB of RAM backup (32GB models) and 4GB for 64GB variants. The front camera is a sharp 8MP module, good enough to produce descent selfies. 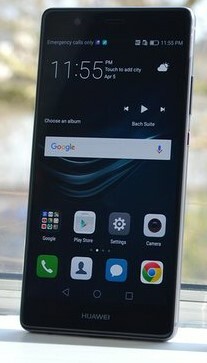 The rear camera is a 12MP camera system (dual-lens). Both the P9 and P9 Plus versions are running on Android 6.0 platform with EMUI 4.1. Among their key features aside from the 12MP dual-camera technology, include fingerprint sensors, ambient light sensors, USB Type-C connector and 3000mAh batteries. Both phones are also designed with rapid charging support. The Huawei P9 and P9 Plus are set to roll out across the European and and Middle Eastern markets by the 16th of April, 2016. As for the pricing, the 3GB P9 version would costs €599 while the larger 4GB variant at €649. Meanwhile, the 5.5-inch super AMOLED P9 Plus costs €749. According to a Wall Street Journal report posted yesterday, Huawei is planning to penetrate the US smartphone market later this year, as confirmed by the company's consumer electronics chief. However, the company would purportedly opt for direct online sales instead of partnership with wireless carriers. You have finished reading Huawei unveils its latest dual-camera smartphones -- P9 and P9 Plus and many articles about Tech Gallery in our blog this, please read it. 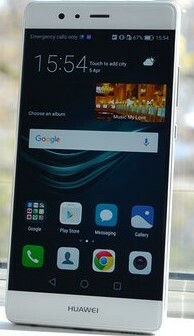 and url link of this article is https://littlebitjohnny.blogspot.com/2016/04/huawei-unveils-its-latest-dual-camera.html Hopefully discussion articles on provide more knowledge about the world of new tech gadgets.